ENDURACOAT TANKGUARD WW is a 100% solids polyurethane elastomeric spray lining system. ENDURACOAT TANKGUARD WW has been developed primarily for the protection of concrete and steel in erosive and corrosive environments. It is particularly suited as a lining in water and waste water applications but can also be used as a stabilising coating with or without the use of geotextile reinforcement. As a secondary containment lining material it can also be used with or without a geotextile fabric. 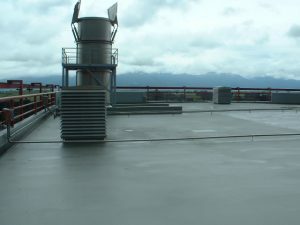 ENDURACOAT TANKGUARD WW is particularly suited to the repair of old, eroded concrete structures to create a repairable protection layer and stop concrete loss. A polyurea spray lining system for heavy duty industrial applications where high performance and rapid turn around times are critical. Suitable for secondary containment as a monolithic, impermeable lining for industrial plant, mining, agriculture, chemical and petrochemical applications, primary containment in tanks and vessels subject to abrasion and/or substantial substrate movement, protection against food acids, processing chemicals, water and waste water applications and abrasion, impact, chemical and corrosion protection. A pure polyurea spray lining system for heavy duty industrial applications where high performance and rapid turn around times are critical. Suitable for secondary containment as a monolithic, impermeable lining for industrial plant, mining, agriculture, chemical and petrochemical applications, primary containment in tanks and vessels subject to abrasion and/or substantial substrate movement, protection against food acids, processing chemicals, water and waste water applications and abrasion, impact, chemical and corrosion protection.